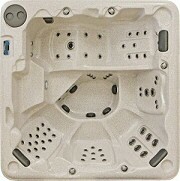 PDC Spas Hot Tub Cabinet Finishes - Enhance the look of your hot tub with one of the quality spa cabinet designs. 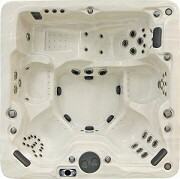 Each and every PDC Spas Hot Tub is built to order, making your spa personally yours. 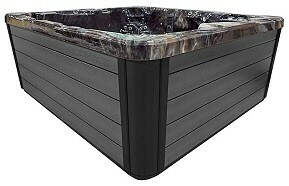 With 9 designer hot tub colors and 2 cabinet finishes, there is a full range of options for you to select your own hot tub color combination, making your unit anything but ordinary. Choose from high gloss marbles, lusters with deep rich tones, or granites with a natural, easy to maintain finish. 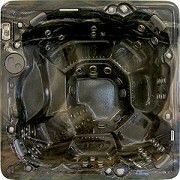 These Lucite® cast acrylic colors are not only beautiful, but resistant to normal wear and tear. 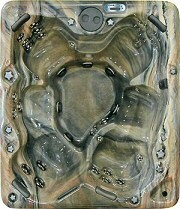 Contact us or stop by our amazing spa showroom where we have many spas on display, the finest saunas, top of the line above ground pools and a large selection of parts, supplies and accessories for al of your needs. Our knowledgeable and courteous staff will be glad to answer your questions and assist you. 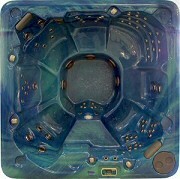 Remember, we are here for you long after you purchase your spa, and with regional delivery and installation as well as expert, factory trained technicians, we can assure you years of carefree enjoyment. 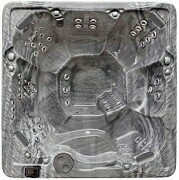 Hot Tub Colors Lehigh Valley Poconos PA.